Not to say that Black Friday and Cyber Monday were busts, but the deals as we inch closer to X-mas seem to be getting better by the day. For example, the Pebble smartwatch dropped $20 on Black Friday with its arrival at Amazon, but can be had today for $30 off at a couple of retailers (both Best Buy and Amazon). Better yet, if you can currently claim student status with a .edu email address, you could save an extra $30 from the already discounted sale price at Best Buy, getting you into what most would consider to be the best smartwatch available, for $89.99. 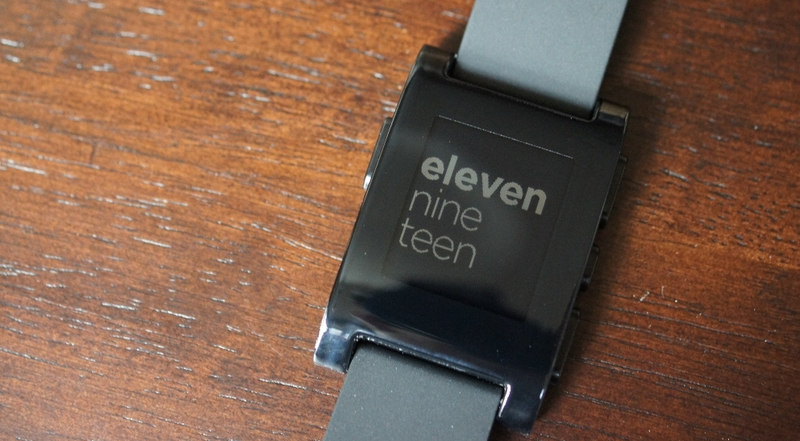 We reviewed Pebble some time ago, but to say that it has changed since then would be a gross understatement. Through update after update, Pebble now handles notifications better than ever, lets you manage multiple notifications, and has had enough UI tweaks and settings additions to keep it on top of the smartwatch game in our opinion. Even with its e-paper display instead of the fancy AMOLEDs that companies like Samsung are using, its the experience that would make us still lean to this day to Pebble. Both Amazon and Best Buy have red and black versions of Pebble available. Best Buy’s deal includes free shipping, while Amazon’s is marked as Prime, so members can take advantage of those benefits.